Scammers, swindlers, and con-artists: they’re all woven into the fabric of what it means to be an American. We even live in a time where a reality TV star can scam his way into the White House! 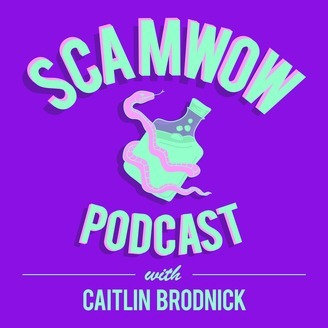 ScamWow is the gripping podcast about infamous cons that will make you angry and awestruck at the same time. 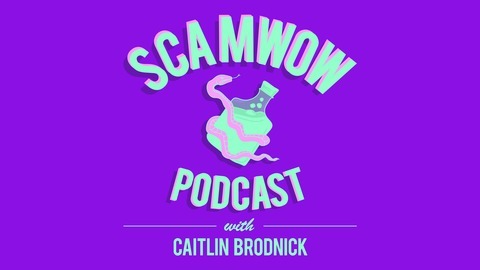 Comedians Sue Smith and Caitlin Brodnick walk you through the best scams ever, from current events to historic mobsters, and everything in between. Above all, the podcast focuses on great storytelling, with a fascination on fraud that might be… unhealthy? Follow the hosts @suesmith666 and @caitybrodnick. Also! Caity and Sue are doing an AMA on the antiMLM subreddit this Monday, April 29. Don’t miss it, ya reddheads. Check out Let’s Get Civical here. This episode was recorded at More Banana’s Kill Room Studios in New York City and Sue’s House in Los Angeles.